Lesley Head is Redmond Barry Distinguished Professor and Head of the School of Geography at the University of Melbourne, Australia. 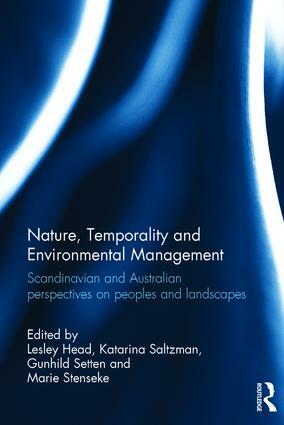 Katarina Saltzman is Associate Professor at the Department of Conservation, University of Gothenburg, Sweden. Gunhild Setten is Professor of Geography at the Department of Geography, Norwegian University of Science and Technology, Trondheim, Norway. Marie Stenseke is Professor in Human Geography at the Department of Economy and Society, University of Gothenburg, Sweden, and Fellow of The Royal Swedish Academy of Agriculture and Forestry.